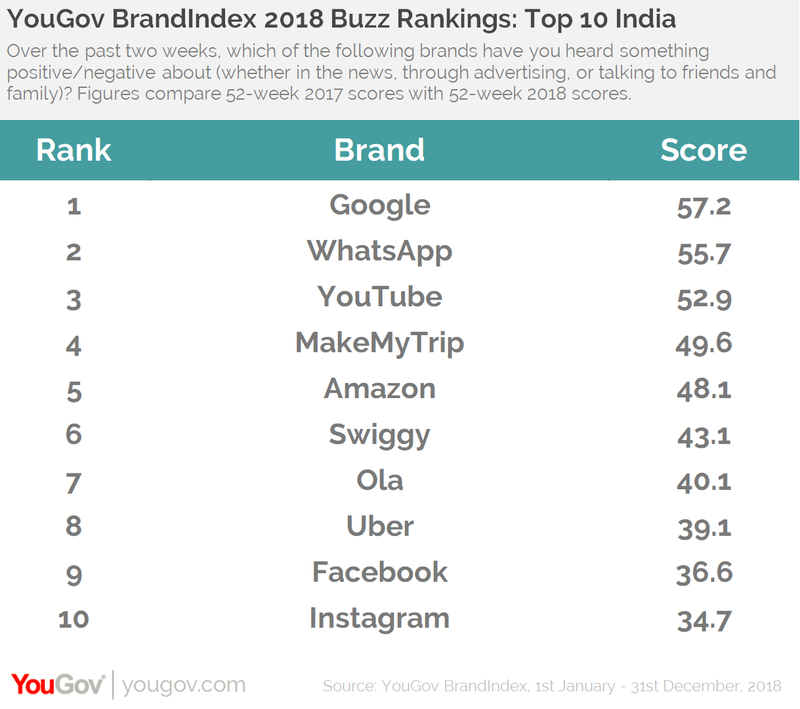 on January 23, 2019, 2:32 p.m.
Technology giant Google has been crowned as the brand with the most positive Buzz in India in the past year, with a Buzz score of +57.2 points. WhatsApp and YouTube come in at second and third place, respectively. YouGov BrandIndex measures the public’s perception of brands on a daily basis across a range of metrics. The annual Buzz rankings are compiled using Buzz scores from the entire years’ worth of data. Buzz scores measure whether people have heard anything positive or negative about a brand during the previous two weeks. According to the rankings, we see a surge in the popularity of digital brands and social networks. While the top 3 is dominated by technology giants, social networks like Facebook and Instagram park themselves at nine and ten, respectively. Despite its share of attention grabbing headlines, MakeMyTrip lands at the fourth place, followed by Amazon at number five. Cab hailing services like Ola and Uber managed to stay in the limelight for a large part of the year and sit right besides each other at seven and eight, respectively. 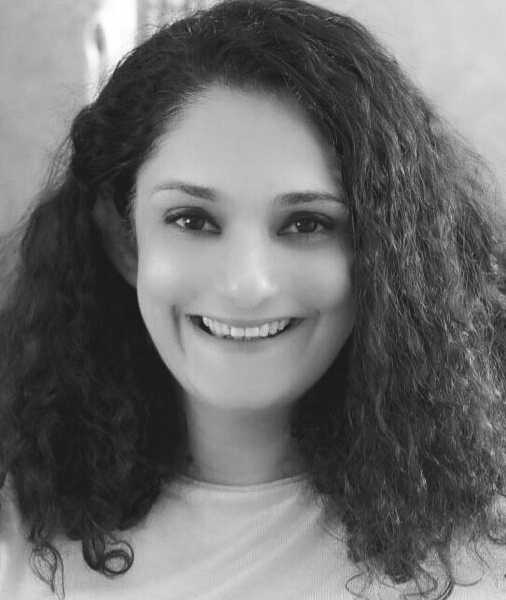 Last year witnessed a lot of developments for food-delivery platform Swiggy. Amidst talks of fresh investments and geographical expansion, it created a lot of Buzz and has landed at the sixth spot in the top 10 list. YouGov BrandIndex has also revealed the brands that have noted the greatest improvement to consumer perception in 2018. 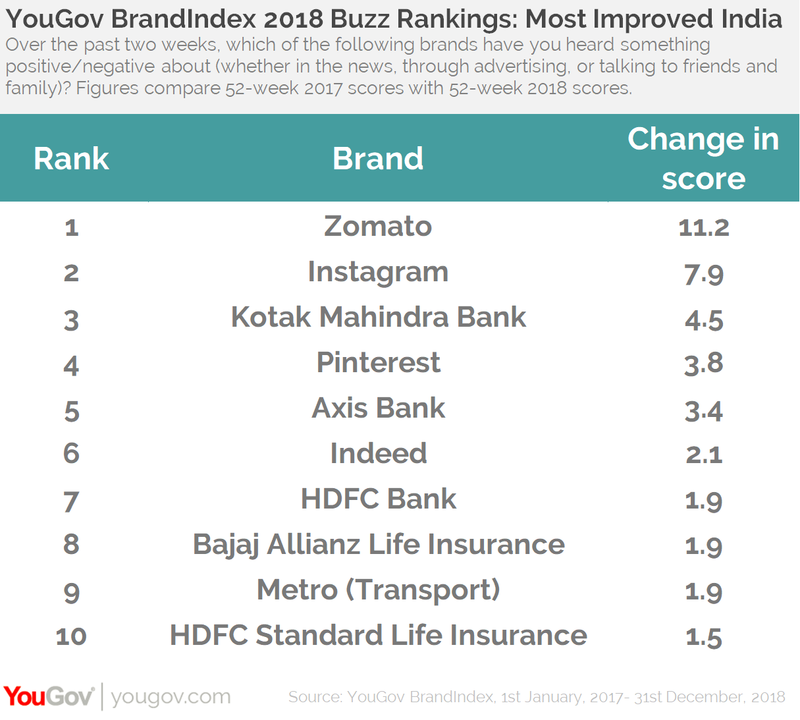 In India, Zomato is the “most improved” brand of the past year, with a marked rise of +11.2 points to its Buzz score, going from +10.1 in 2017 to +21.3 in 2018. Instagram has also shown good improvement in its score and has become the second best improver with a change in score of +7.9. Kotak Mahindra Bank (4.5), Pinterest (3.8) and Axis Bank (3.4) make up the rest of the top 5 improvers. In particular, banks and insurance brands seem to be resonating well with consumers and have made good improvement to their Buzz scores. Five of the leading brands from this sector make up the top 10 improvers list. Job search engine Indeed and Metro (Transport) are other improvers of the past year. All the brands from the nine sectors covered in YouGov BrandIndex were ranked using the Buzz score which asks respondents, “If you've heard anything about the brand in the last two weeks, through advertising, news or word of mouth, was it positive or negative?” Scores are net scores, calculated by subtracting the percentage of negative responses from the percentage of positive responses for each brand.